Complementing the driver released in summer 2013, the SLDR Rescue features much of the same technology as its bigger brother. Noticeably absent to most will be the sliding weight seen on the driver, but that’s no surprise considering the real estate needed for such a feature. Still, the basic concept TaylorMade introduced with low and forward center of gravity (cg) figures prominently into the club’s design. 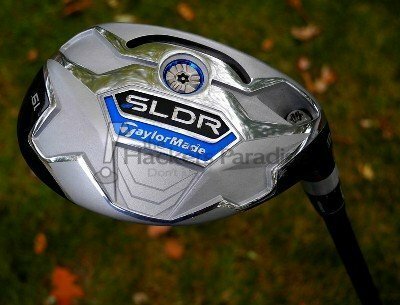 Like the rest of the SLDR line, but discussed most with the driver, TaylorMade is manipulating weight placement in the SLDR Rescue to the low and forward position. There are some big positives to this, along with some potential negatives. 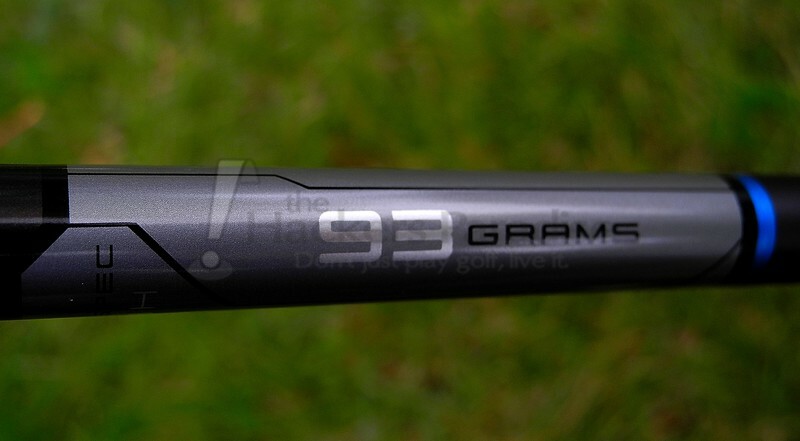 The most striking thing that can be realized through this new weight configuration is the potential for more distance. This is achieved not as much through ball speed increases, but via ideal launch angles coupled with lower spin. What we are seeing are numbers that are more like what a driver produces than an iron, an incredibly tantalizing development. 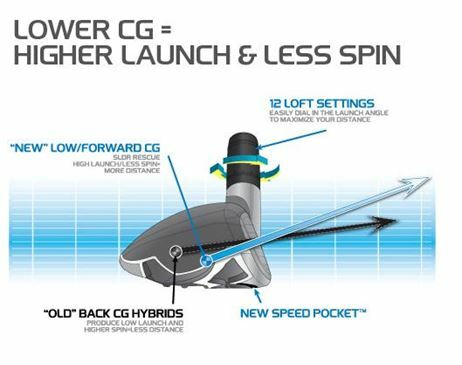 Nothing comes without a price though, and in the SLDR’s case, that price is the possibility of too little spin (causing distance loss) and decreased forgiveness. TaylorMade is combating the former through a well-timed marketing campaign, conveniently named, “2014. The Year of Loft.” Essentially, even Tour professionals are seeing the need to play the SLDR series with higher lofts than they may have with previous lines. By including a 12 position hosel adjustment sleeve offering +- 1.5° of adjustability (along with a variety of lie angles), users should find it easier to nail down a loft that gets them closer to ideal launch conditions. 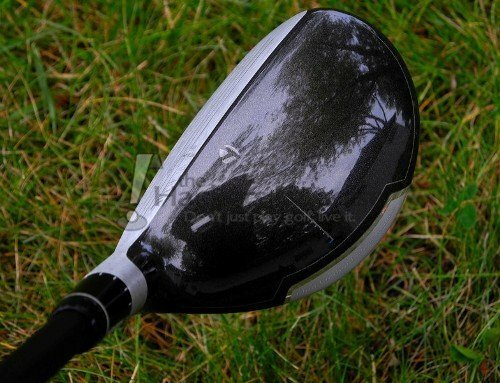 Regarding the potential lack of forgiveness, while we didn’t see as much of an issue with the fairway woods and Rescues, it has been a concern of many that have tested the SLDR driver. In the Rescues, our belief is the Speed Pocket, redesigned to be smaller and shaped differently, offsets some of that. 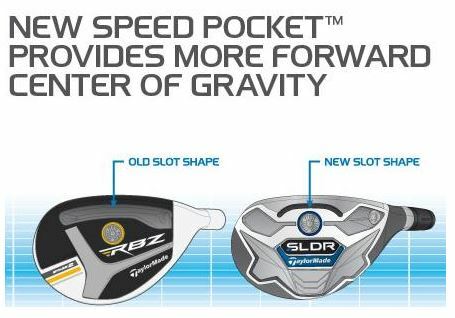 While much of TaylorMade’s marketing focuses on distance with this line, the language ambiguously supports this theory by saying the new Speed Pocket is “more efficient at increasing how fast the face flexes at impact, promoting faster initial ball speed across a wider portion of the face”. Preferences vary, but it is our opinion that the SLDR line blows away both RocketBallz lines when it comes to looks. Gone is the white (maybe for good?) and in its place is an eye-pleasing charcoal gray crown. While this won’t please the purest of the purists, it’s a huge step forward in our eyes. The “Chrome Back Button”, along with a faint line, is supposed to provide some assistance with alignment, but mostly just looks hip and different. Turning the club over, the Rescue’s sole reveals TaylorMade’s 2014 color of choice – a striking cerulean blue. Again, this is a marked improvement over the line’s last two colors of choice, green and yellow. While it will never be described as clean or simple looking, the sole is still quite attractive with the Speed Pocket (now filled with a polymer – thank you TaylorMade) and mixture of shiny and satin chrome. TaylorMade is great at color continuity with their products and they show that with the gray and blue accented Fujikura shaft. The SLDR Rescue sits right in the middle when it comes to size. While not small by any means, it’s still lacking the oversized fairway wood appearance that some hybrids possess. At address, it’s plenty big to offer some confidence, but small enough that it doesn’t seem like it will be hard to hit off the turf, even though it does have a slightly deeper face. Center contact produces a slightly higher pitched, but pleasing sound void of hollowness or ear-splitting intensity. 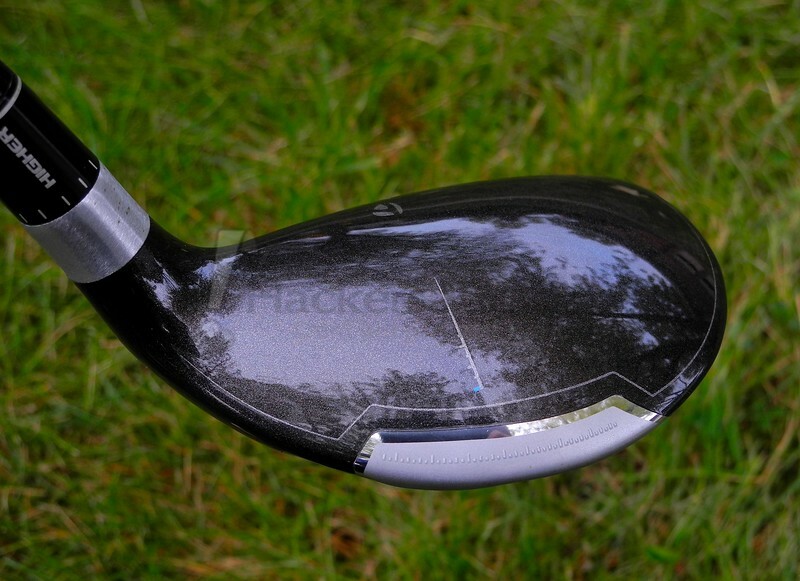 As a total package, the SLDR delivers attractive modern looks and above average feel. 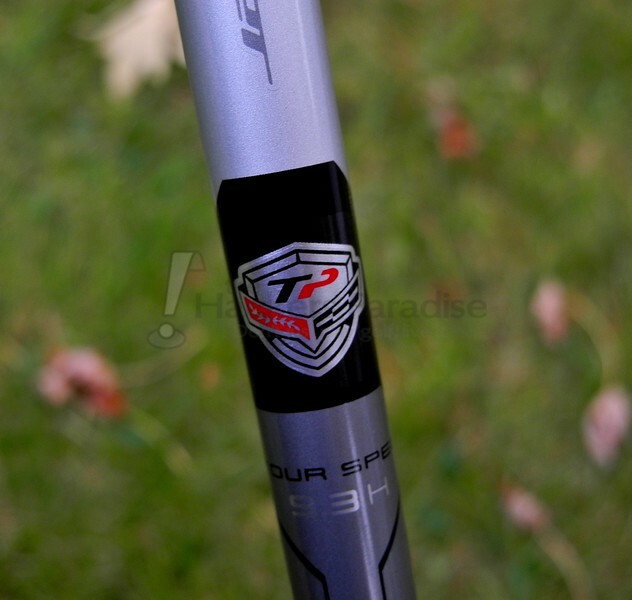 THP tested the TP version of the SLDR Rescue, which only differs from the standard version in shaft offering. 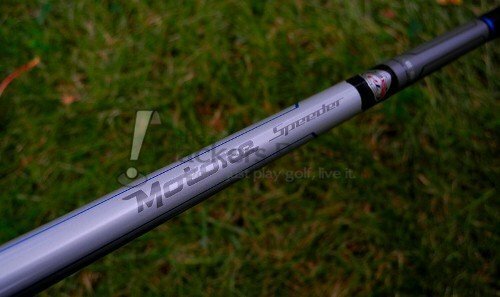 The specific model tested was the 19° TP Rescue with Motore Speeder TS 9.3 in stiff flex. Testing took place on the driving range, golf course, and using a Vector X launch monitor. The SLDR Rescue delivered what we’d characterize as excellent distance – certainly above average in comparison to other offerings tested in the last year. A mixture of high ball speed, mid-high launch angles, and lower spin delivered the yards TaylorMade promised. When compared directly to the SLDR’s distant cousin, the new Adams Idea hybrid, the difference in launch conditions was even more evident, with the SLDR providing more speed, higher launch, and less spin. The impressive distance carried over from the launch monitor to the golf course quit seamlessly, making the SLDR an attractive option both for tee shots on shorter holes as well as for long approaches. Ball flight was surprisingly high given the low spin properties of the head. In fact, ball height was consistently in the 90-100 foot range off the tee (as measured by the Vector) and not much lower from the turf. While not the absolute easiest hybrid in the world to hit, the SLDR wasn’t difficult to use by any means. It will likely attract better player, but shouldn’t be relegated only to low handicappers. Many players with consistent swings should find it playable enough that they are confident using it, assuming the lower spin properties are a fitting match. That wasn’t the case with the SLDR driver for this tester, so definitely consider trying the Rescue even if you haven’t found success with the rest of the line. 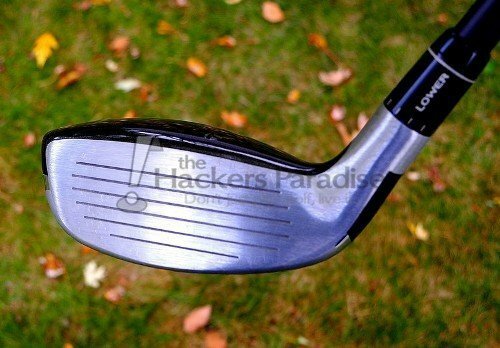 While the depth of the face and sole didn’t impart an initial sense that the SLDR would be the greatest club from the turf, it proved to be reasonably versatile there. As noted above, ball height didn’t suffer much, distance remained above average and solid contact was easy enough to come by. As a victim of the dreaded hook miss with many hybrids, there wasn’t any indication that the SLDR was more prone to producing them over competitors for this tester. That’s often an issue of fitting of course, and the best possible advice that can be given is to take the time to demo and get fit rather than purchasing blindly. Still, dispersion with SLDR Rescue was definitely adequate. As a club for tee shots it proved to be quite reliable at finding fairways and it was sufficient for shots into the green. A 19° hybrid will rarely be characterized as a precision instrument for most amateurs, but with decent swings the SLDR kept the ball reasonably on line for this tester. As mentioned earlier, there was little indication that the low and forward CG placement had a massive effect on forgiveness with the SLDR Rescue, but it still isn’t the most forgiving hybrid on the market. Time after time it brought to mind the Adams Super LS, which while not the most punishing club on off-center contact still does lag behind most game improvement offerings on the market. This tester’s typical toe misses saw a decrease in ball speed that dropped distance, but not at alarming levels. 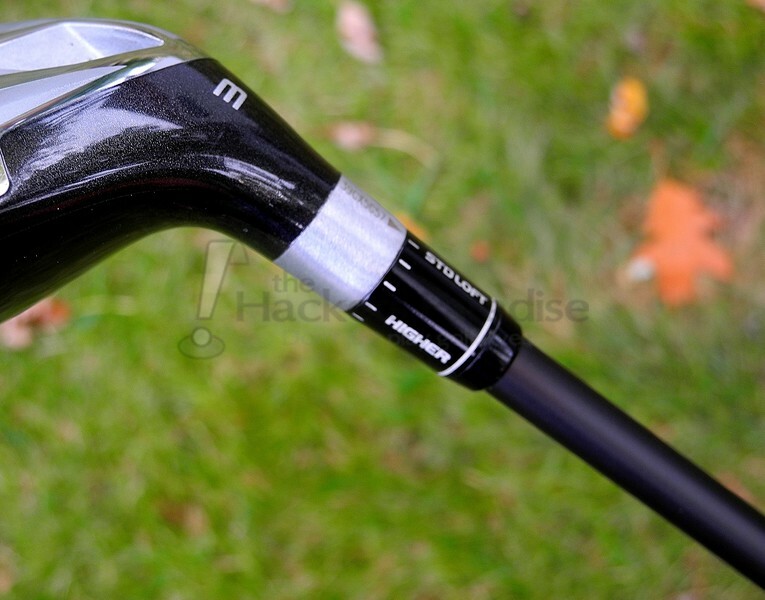 As a long iron replacement or utility club the SLDR should provide average forgiveness for most. While many accuse TaylorMade of being purely a hype machine, the SLDR line shows that they are producing technology that demonstrably changes how golf clubs perform. The hybrid in particular proved to be a very enjoyable club to play and the distance claims were backed up both on the course and through launch monitor testing. As stated earlier, this line will likely attract better players, but the Rescue was certainly a playable club for this mid-handicapper. While not in the realm of the extremely easy to use and ultra forgiving hybrids, it produced many nice shots with reasonably good swings. To top it all off, the looks are exponentially better than the last two generations of TaylorMade hybrids. More information, including custom options and ordering instructions can be found at TaylorMade’s website. Very nice job on this review, packed with a good bit of tech info. 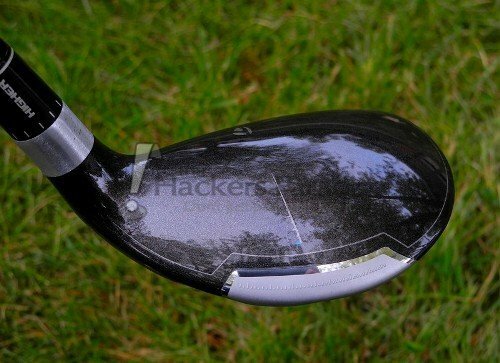 I’m glad to see them move away from the white and very glad to hear that the forgiveness issues from the same named driver didn’t leak into the hybrid. Add in a 5h model, I’m a happy golfer. 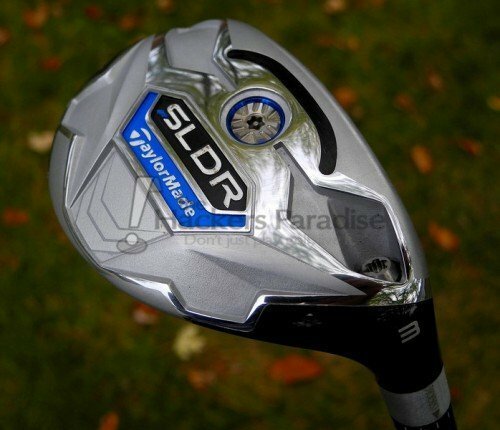 Awesome review Ryan, I really enjoyed reading about the technology behind the SLDR. The looks on this line from TM are fantastic. Well done as always Ryan. Alot of great information. The price tag is pretty steep especially for the TP model but if it works, thats all that matters. Would like to see the 5-24 degree available in LH as that is my go to club these days but would really love to hit it. Great review, Hawk. From the first time I hit this one, I was a fan. Loved the higher ball flight and ease of hitting it off the deck. Nice job Ryan, I can see a lot of the old Rescue line in the crown of this club and think a head to head with one might be very telling. The smaller, reshaped slot is interesting, I like seeing this tech improving. Great write up Ryan. I was able to try this beast out with Ryan and Brian (Bhilln) and I enjoyed it. I think I liked it more because of the heavy weight than my Cobra Amp Cell hybrid. And one thing is for sure is that Brian can send some bombs with this. Good stuff Ryan, I am really looking forward to hitting these clubs. An excellent review Ryan, I finally got to see these in person, I can’t wait to take a swing with them. Good writeup Ryan. Can’t wait to hit this hybrid. I love the look. The reduced forgiveness is enough for me to take a pass on this one though. I am all about the forgiveness, and even though the look is very pleasing, I think it’s beyond me at this time. Great review Hawk! I think TaylorMade went in a great and unexpected direction with the entire SLDR lineup, and it’s nice to hear the hybrid did not let you down. Excellent review! This is definitely on my “must hit” radar for the coming season. Love the idea of increased launch with less spin. Works well in their irons, why not a hybrid? Wonderful review Ryan! Looks like another solid hybrid to ponder for 2014! Heck of a write up. Great job of going over the new tech and the differences from the previous lines. Sounds like a good option for a lot of players. Nice review Hawk. Very thorough with lots of great information. Really is a great looking hybrid. They’ve done good with the looks on the SLDR line all around it seems.